Today we have the lovely picture book, Seashells: More Than a Home by team who brought us the fabulous Feathers: Not Just for Flying (previous review), Melissa Stewart and Sarah S. Brannen. This title really stands out because it does so much more than describe or identify shells a child might find on the beach. Instead, it breathes life into the creatures that inhabit different seashells by showing how all the various sizes, shapes, and colors help the members of the Phylum Mollusca -- or mollusks -- survive. Author Melissa Stewart uses the popular dual-layered text. Younger readers can find out the basics about seashells in the large-sized text at the top of the page, whereas older readers can explore more details with the denser, smaller text further down the page. Sarah S. Brannen's watercolor illustrations incorporate both the mysterious beauty of the seashells and the delight of children when they discover one. 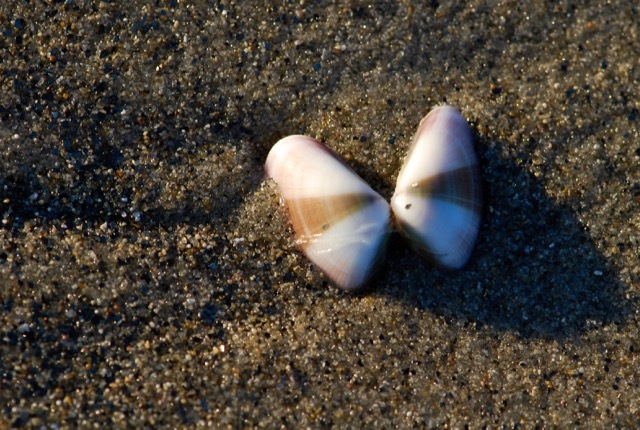 Seashells: More Than a Home is a wonderful resource for studies on ocean or beach habitats. It would also make a great gift for nature lovers, especially before a trip to the beach. Discover a copy today! See the free, downloadable 7-page Teacher's Guide at Charlesbridge (Click the "downloadables" tab at middle of the page). What happens when you put seashells in vinegar? What does this tell you about what they are made of? (See instructions at Scholastic, for example). Sue at Archimedes Notebook has some great activity suggestions, including an art project and a scavenger hunt. She also has a review of the book.